The morning wasn’t really good for Dhadak lad Ishaan Khatter, on Sunday, as the actor found himself on the wrong side of the law. Ishaan ended up paying fine to the traffic police for parking his bike in no parking area. As reported by SpotboyE, Ishaan Khatter was enjoying a post workout meal at a restaurant in Bandra. Upon exiting the restaurant, 23-year-old found his bike being towed by the traffic police for parking it in no parking area. He did get his bike but also paid 500/- as a fine. VIRAL VIDEO: Ishaan Khatter Breaks Traffic Laws, Ends Up Paying Fine!Ishaan Khatter soon was crowded by the shutterbugs, but seem like he wasn’t too pleased given the awkward situation. Actor Ishaan Khatter says Dhadak*brought a positive change in his life, and now he wants to challenge himself by recognising the right opportunities. “The film brought a positive change in my life by bringing me together with some very special people,” Ishaan told IANS while explaining how his life changed after “Dhadak“. “As for my professional life, more people have seen my work and hopefully that will have a positive effect on the opportunities I receive in the future,” he added. An adaptation of Marathi hit “Sairat“, “Dhadak” marked the much-awaited Bollywood foray of Janhvi Kapoor. Ishaan made his film debut with Iranian filmmaker Majid Majidi’s “Beyond The Clouds“, but “Dhadak” marked Ishaan’s entry in Bollywood. 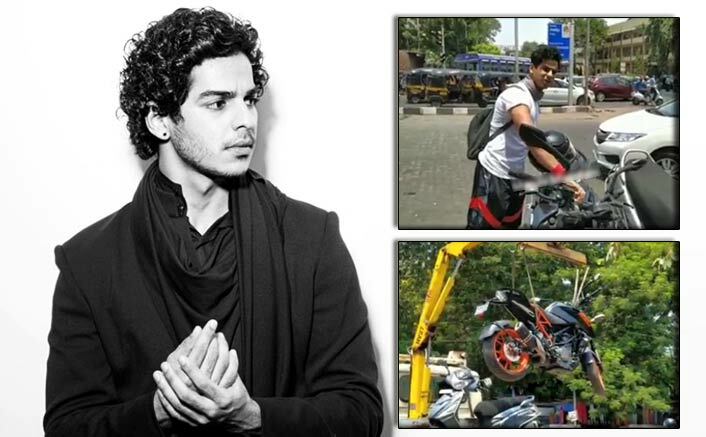 The post VIRAL VIDEO: Ishaan Khatter Breaks Traffic Laws, Ends Up Paying Fine! appeared first on Koimoi. Watched Ranbir Kapoor’s Airport Video That’s Going Viral All Over?